Serving California since 1947, this family owned business has grown to be one of the largest full service transportation and crane service companies in Ventura county. 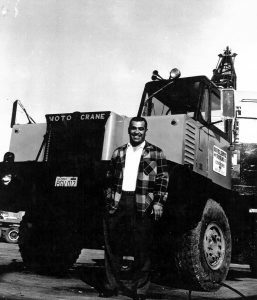 Leon Zermeno, founder of OST, started his business with one bobtail truck, hauling drilling mud for the local oil companies. His ingenuity and resourcefulness helped make this company what it is today. With the continuing efforts of his sons and co-workers, this company continues to provide quality service, safe operations, and cost effective solutions for our customers. OST’s core belief is based on Safety, Integrity and Value. We pride ourselves on our safety culture, stability of employment and efficiency of our employees and our expertly maintained, state of the art equipment. You can put your trust in OST Trucks and Cranes, Inc. We have been in business since 1947. Our unparalleled service, competitive prices, and overall value are why our loyal customers won’t go anywhere else. We look forward to serving you!